GSL was contracted for two jobs with two different general contractors. 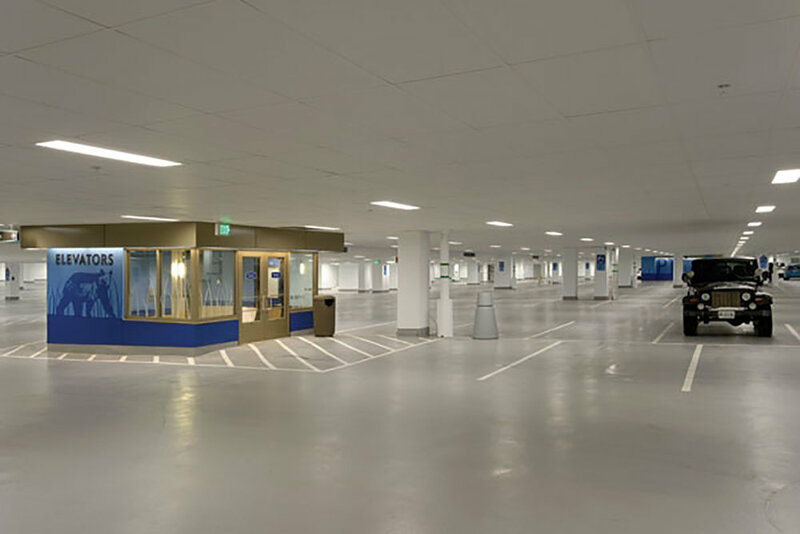 The first phase consisted of the construction of a four-level parking structure. Fifth level down is actually a loading and unloading dock to facilitate semi-truck access into the building. Trucks drive in at street level, then get lowered via truck elevator down to the fifth level—where it drives out to one of eight loading bays. “First one I’ve ever seen,” said GSL Project Manager Rick Rousseau. “The biggest problem is material handling because there is no room for storage.